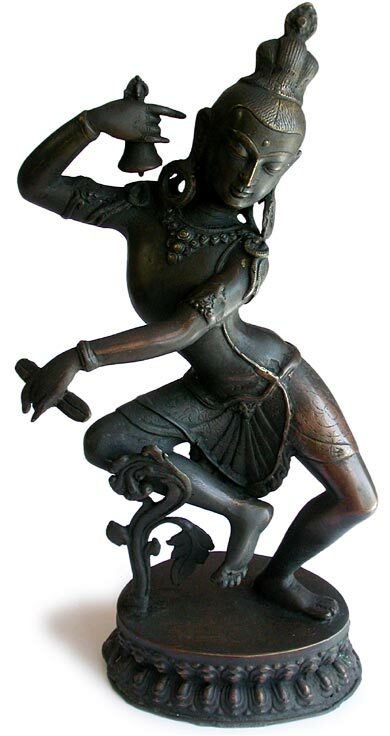 The naked and sensual Dancing Dakini represents the primordial consciousness in pulsations; a cosmic force of pure joy stripped of obscuration and defilement. 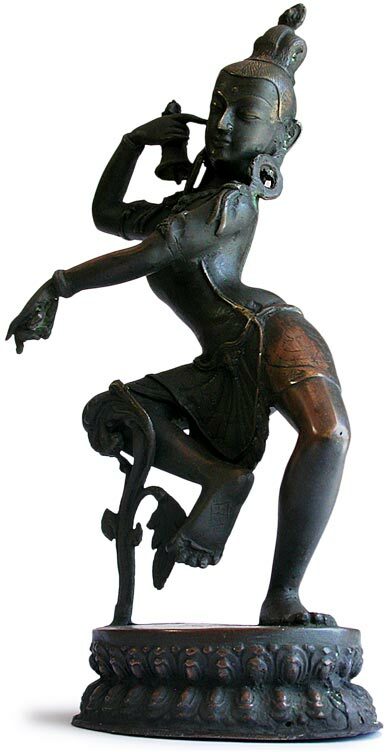 As represented in this Nepalese bronze. 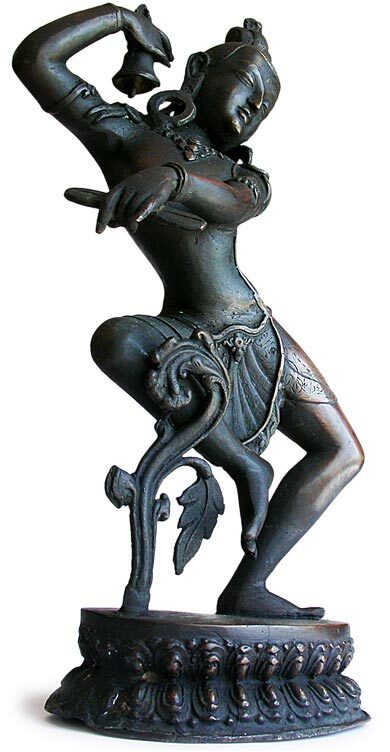 The Dancing Dakini is life-like and radiating in rapturous bliss, her face is divine in features and serene in expression, body well proportioned and vigorous in movements. 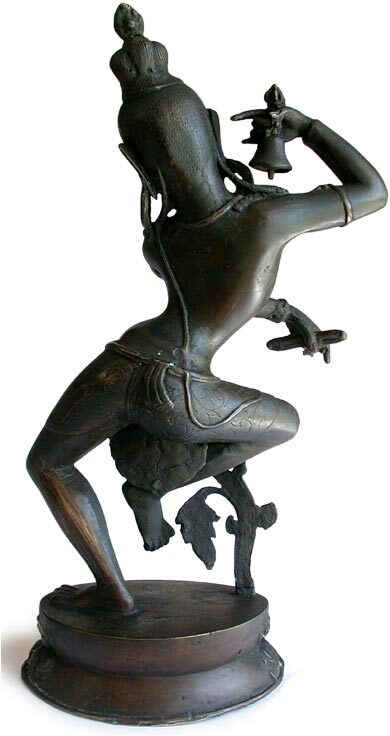 As her upper torso is swaying in an arc, she is dancing with a bell in her rised right arm, with left arm extended to counter her right foot in mid air, striking a perfect balance with her bended left knee, which resulted in a sinuous and graceful dance rhythm. As depicted here, due to excessive cleaning on her left thigh, the beautifully aged copper plated bronze patina was somewhat compromised. 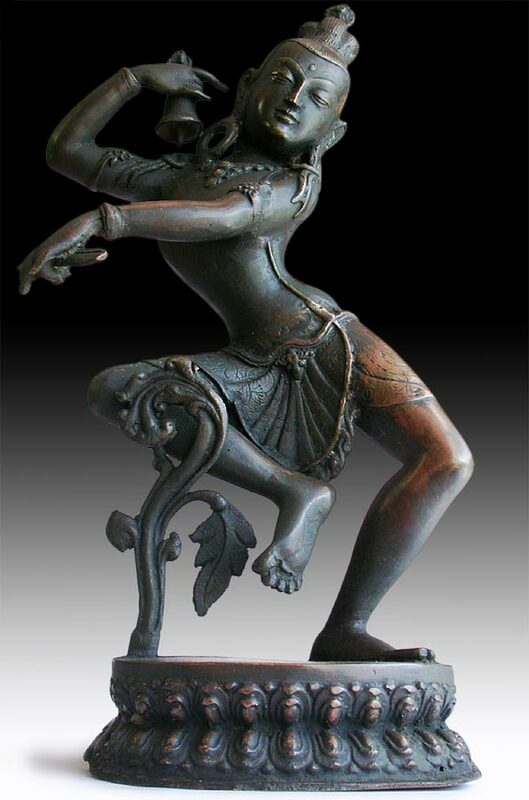 Nonetheless, the eloquence of the Divine Feminine remains undaunted in this spirited statue.